Please note that many images on the various pages of this website may be enlarged by clicking on them. The basic aim of this website is to contribute to a better understanding of the geologic process caused by impact cratering. Impact cratering comprises all aspects related to the formation of an impact structure including astronomical considerations, impacting cosmic bodies (impactors; meteorites, asteroids, comets), the various stages of the crater-forming process, geological and geophysical implications, impactites, shock metamorphism, experimental impact studies and scaling, and last but not least the social factor (NEO, Near Earth Objects, threat to mankind). 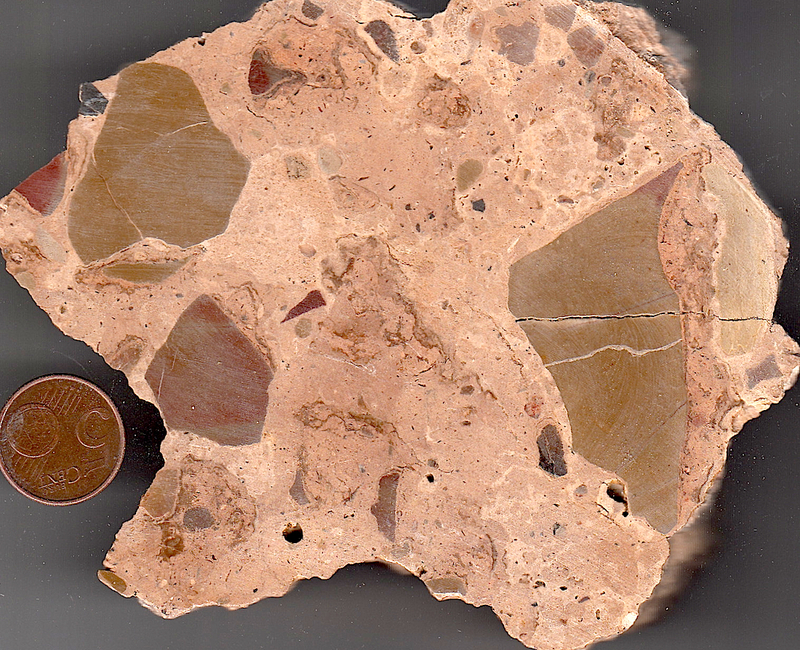 For decades the basic events during and after a large meteorite impact have been mostly understood. More than thirty years ago, the late Eugene Merle Shoemaker, American geologist and astronomer, who pioneered the study of impact cratering on Earth, on the Moon, and on the other planets and their satellites, stated that impact cratering must be considered to have been one of the most important geological processes in the development of our planetary system. More than twenty years ago the first college textbook on the subject was published: “Impact Cratering: A Geologic Process” (Melosh 1989). Nevertheless, the educational impact in schools and universities has been and continues to be rarely dealt with. 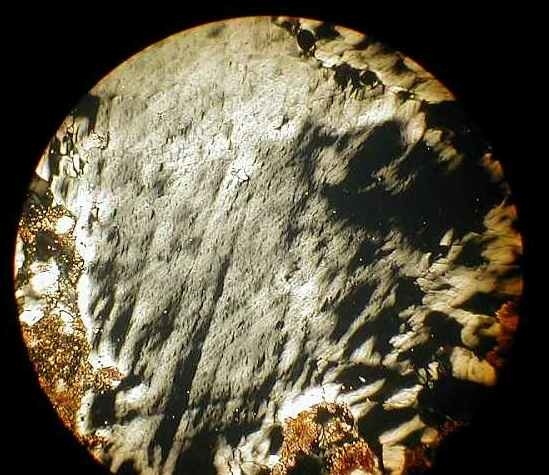 The majority of geologists still do not readily believe that extraterrestrial objects have made a significant impact on the geology of planet earth. 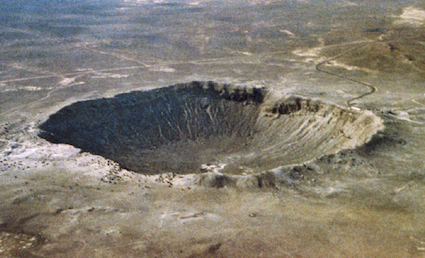 Many geologists still harbor rather bizarre ideas about the formation of impact craters, and many have not ever examined even the most common impact rocks or impactites such as polymictic breccias, impact melt rock, impact glass, suevite and shattercones (also known as shatter cones). Many modern geologists lack any knowledge whatsoever of typical impact crater outcrops or are familiar with even the simplest concept of impact physics. No wonder then that even today when an impact origin for a newly discovered structure is suggested the opposition of regional geologists can be formidable. With this in mind, we began to construct the Ernstson & Claudin impact structures website in the late 1990s, and we are now proud to be posting a completely revised version. As before we focus on the geology of impact structures and impact processes and on impact rocks from various crystalline, sedimentary and mixed impact targets from all over the world. And as with the previous versions of the website, we attach great importance to photographic evidence of outcrops, impactite specimens and microscopic details. Azuara impact structure. Google Earth. Apart from the Ries, Steinheim (Germany) and Rochechouart (France) impact structures which among the European sites are especially familiar to us, the main part of our homepage is dedicated to the large Spanish Azuara and Rubielos de la Cérida impact structures. This is done for the following reasons. We (the authors F.C. and K.E., and co-workers) have now been working for more than 25 years on this geologically exiting impact region. During this time we have carried out numerous studies of outcrops, collected many hundreds of kilos of impact rocks, performed considerable studies of the petrographic evidence of impact, described everything, and published our results. 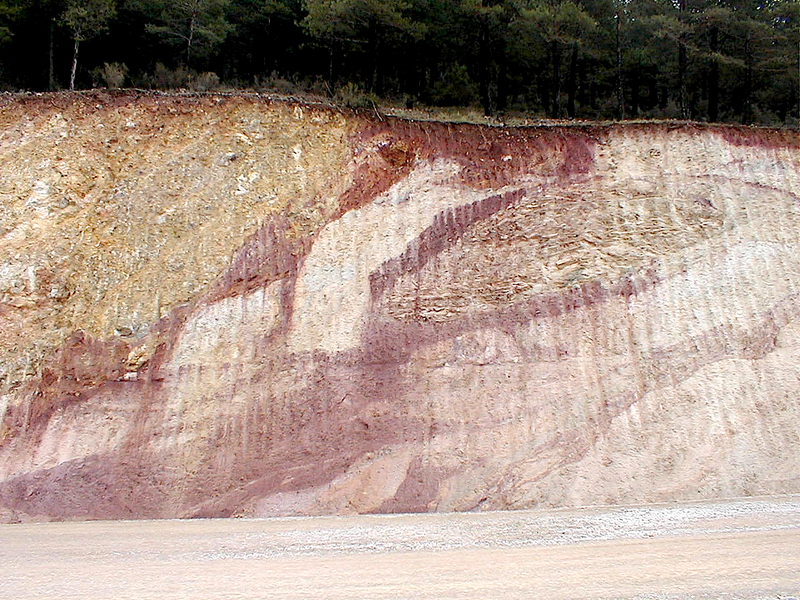 Suevite from a sedimentary impact target; Azuara impact structure, Spain. The impact region measuring at least 120 km in length is distinguished by the superb number of well-defined outcrops, the great variability of geological impact scenarios and easy access. While the Yucatán region has its famous buried Chicxulub impact structure, impact samples must be drilled from kilometer-deep boreholes at enormous cost. Comparable samples can easily be taken in the Azuara/Rubielos de la Cérida area with a simple hammer. At the same time the area provides a wonderful landscape; quite a few of the outcrops provide clear highly educational examples of geological structures. Educational geologically structure: a peculiar setting in the rim zone of the Rubielos de la Cérida impact basin, Spain. There is one more reason to consider the Spanish impact structures and their investigations as educationally important. 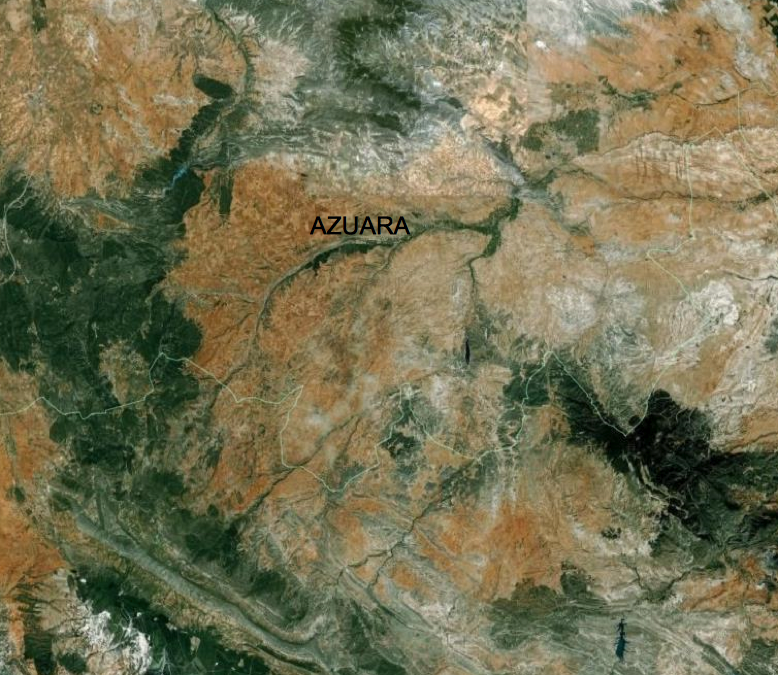 The Azuara – Rubielos de la Cérida impacts represent classic examples of controversy concerning their origin. Similar controversies were at first hard-fought concerning the Vredefort, Sudbury, Ries and many other impact structures. All controversies proceeded nearly the same way, notably bringing sometimes angry denials from local geologists. For them, the impact of a cosmic body was incompatible with the regional geology. They thus ignored the concept that meteorite impacts are a real process, occur statistically at random times, and that an impacting body cares not a hoot about regional geology or regional geologists. For the Azuara – Rubielos de la Cérida impact structures the same debates have occurred, presumably backed by a pact of the so-called “impact community” (whatever and whoever they may be), and that is, in our attempt to shed some light on how science is (mal)functioning, we dedicate a special and comprehensive chapter to this Azuara – Rubielos de la Cérida controversy.